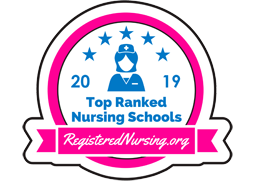 New London NH – Colby-Sawyer College’s undergraduate nursing program has been recognized as #1 in New Hampshire by RegisteredNursing.org after the group analyzed 15 programs in the state. Colby-Sawyer led the pack with a score of 98.85. The annual registered nursing program rankings are based on current and past first-time National Council Licensure Examination (NCLEX-RN) exam pass rates. In 2018, for the third year in a row, 100 percent of Colby-Sawyer’s undergraduate nursing students passed the NCLEX-RN on their first attempt. Nursing programs were also assessed on several factors that represent how well a program supports students toward licensure and beyond. According to The Bureau of Labor Statistics, the average salary for a registered nurse in New Hampshire is $67,190 and New Hampshire Employment Security projects an average of 491 registered nursing job openings each year. This entry was posted in Uncategorized on March 18, 2019 by GrowingInArt.